Los Lobos ("The Wolves") are an American Chicano rock band. They are three-time Grammy Award winners. Their music is influenced by rock and roll, Tex-Mex, country music, folk, R&B, blues, and traditional Spanish and Mexican music such as boleros and norteños. 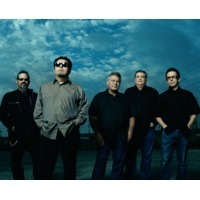 Mexican-American roots-rock group Los Lobos has been performing and releasing albums since the late 1970s.